Providing you the best range of spot face cutters with effective & timely delivery. The company has carved a niche for itself in the global markets as a provider of Spot Face Cutters. 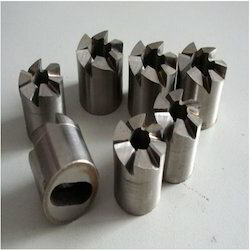 The Spot Face Cutters, offered by the company, are used on CNC, conventional or special purpose machines of various capacities for machining of spot face on the metal.